With more than 13 years of experience living and cooking in 5 different countries, Chef Coppola has developed expertise in Spanish, Italian, French, South American and Modern Fusion cuisines. Trained by Maurice Lacharme and Alicia Berger, members of "Chaine de Rotisseurs", "Academie Culinaire de France" and former "Bocuse D'or Jury members", Fernando has strong fundamentals, now shaped by his personal, signature style. He is currently the Executive Chef at the W Retreat & Spa, Vieques Island, in Puerto Rico Chef Coppola gravitates towards simple, unadulterated flavors, bringing to the table his love for seafood, in-season ingredients and organic produce, conserving the authenticity and a unique character in every dish. 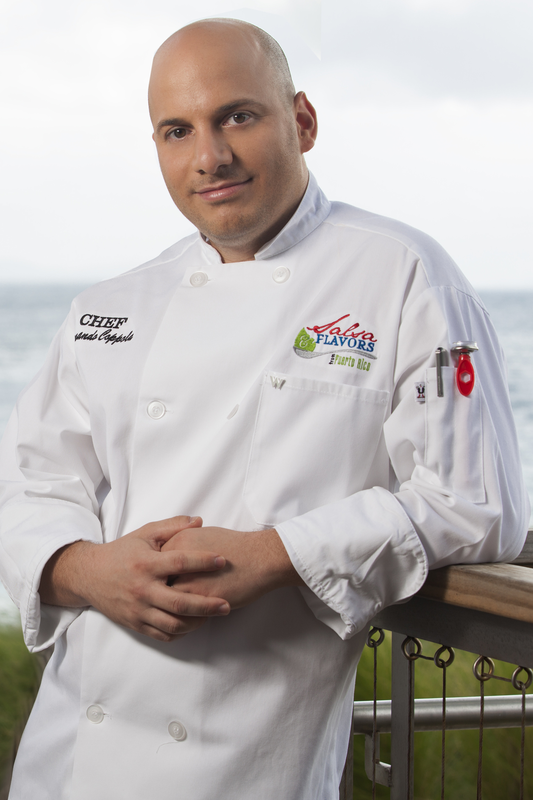 He admits that Puerto Rico has influenced him with the savors of the Island and has incorporated them to his cuisine.